Given that the shortage of engineers in the US weakens the country’s position as a leader in the global market and restricts the country’s capacity to solve infrastructural challenges. 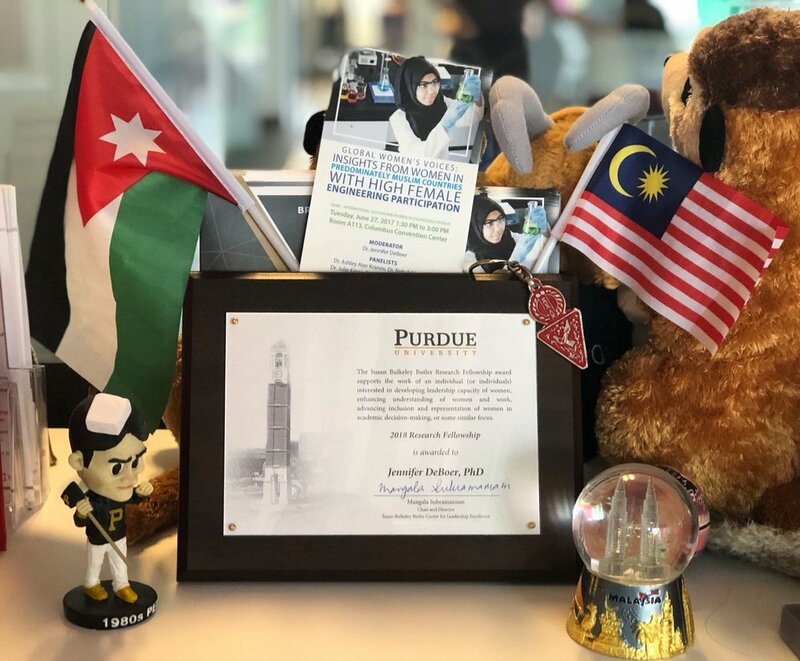 This project entails conducting research in four countries (Jordan, Malaysia, Saudi Arabia, and Tunisia) to assess the contextual factors that encourage women’s participation in engineering in tertiary education and as a career. In three of the four countries identified (Jordan, Malaysia, and Tunisia), women’s participation in engineering is much higher than in the US. Despite social, political, and economic restrictions on women’s participation in public life in the fourth country (Saudi Arabia), women’s engineering participation there is on the rise. This project seeks to understand the links between cultural context and expanding women’s STEM participation by studying the economic, educational, socio-cultural, legal, and political drivers of women’s participation in these contexts. In 2018, Dr. DeBoer was awarded a Susan Bulkeley Butler Research Fellowship. The Women in Engineering team will work to translate findings from their study of PMCs that have high women’s representation. In particular, this study and workshop will focus on a key leadership skill—building robust and diverse professional networks.